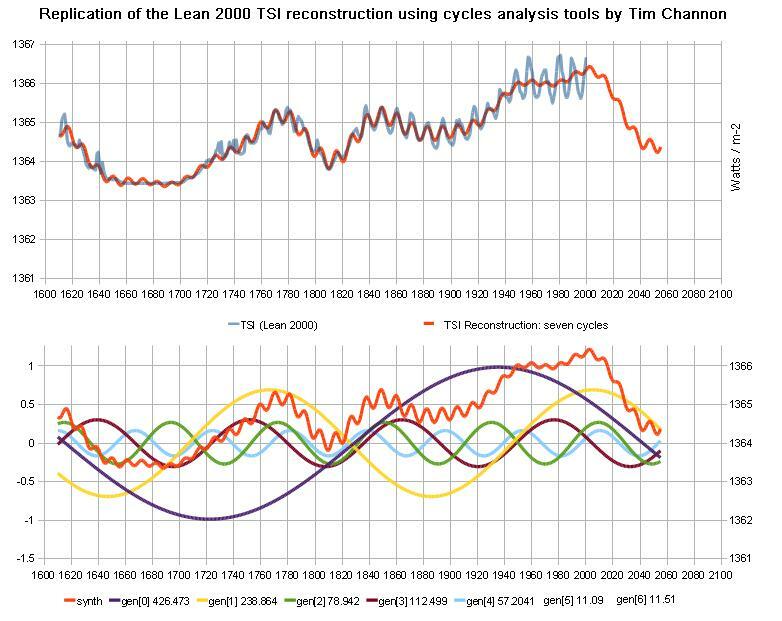 The R^2 value for the correlation in the top graph between the Lean 2000 TSI reconstruction and the curve generated by Tim’s cycles analysis software is 0.99 – or in layman’s terms “Near enough perfect”. The software decided to use seven cycles to get a best fit, and so following Johnny von Neumann’s metaphor, we were able not only to get Nellie to wiggle her trunk, but hold a brush with it and paint Lean’s TSI curve while doing a belly dance. So, given the number of ‘arbitrary parameters’ to play with, this stuff is easy, right? Well I haven’t seen anyone else manage it, so hats off to Tim Channon and his remarkable software. It seems to me the answer to this depends on how ‘arbitrary’ the parameters really are. It has long been thought that the Sun’s activity and Earth’s climate exhibit some longer term cycles beyond the well known ~11 year Schwabe Cycle and the solar magnetic ~22 year Hale Cycle. There is also the ~80 year Gleissberg Cycle, and the ~200 year de Vries Cycle. There are also a couple more lesser known ones. The 55.15 year cycle identified by Roy Martin, and the ~110 year cycle noted recently by Roger Andrews in his SST vs Air temperature analysis. Roger notes in comments that not only is the periodicity right, but the phase is pretty close too. Another point I want to stress here is that the cycles, which when combined reproduce the Lean TSI curve so perfectly, were not ‘picked’ by a human with pre-conceived ideas or knowledge of real natural cycles in terrestrial climate or solar activity. The software did the choosing, testing and refining all by itself. Most of these are close to periods recognised by solar physicists, climatologists and planetary cycle periods identified by researchers here on this blog. Given that the Lean TSI reconstruction is no doubt imperfect, there remains the question of how a curve generated by nearby exact planetary synodic frequencies would look compared to it. This is a project I’ll be undertaking soon. Watch this space, it’ll be worth your time, I promise. Interesting. Any significance to all of the waves trending down at once, as the graph shows them doing now? Congratulations. I’ve been messing around for years with maybe a dozen arbitrary parameters and I’ve only just managed to find the elephant. The 112.5 year cycle plotted in your second graph matches the +/-110 year cycle in SST-minus-SAT with no significant phase shift. However, your +/-11 year cycles don’t seem to have been plotted in this graph, and as far as I can see the Schwabe-cycle oscillations in the reconstruction aren’t a heterodyne effect. These oscillations are also much larger in the 19th century than in the 20th. Any reason for this? “Beyond that though, there is the question of whether there is any scientific value to this kind of curve fitting exercise.” Well, according to my phenomenological model results your curve-fitting just generated about 0.8C of natural cooling between now and 2050, and I would trust this estimate at least as much as I trust any of the IPCC’s models. Oh, my! Wheels within wheels! Will be watching with great interest. Thanks for this. Bob: Only two out of the seven waves are trending down strongly at the moment. Three are just peaking and will soon be falling, and the two shorter cycles which aren’t shown are partially cancelling each other. Are you asking about significance in terms of the way the software handles it’s job or significance in terms of the climate implications if the combining curves are representative of reality and the Sun has a strong effect on climate? Roger: Tim is the star of the show here. I’m just the person ‘putting it out there’ and commenting on the potential significance of the match between the composing curves and real cycles in nature. Damned with faint praise. Lol. Why don’t you ask one of the IPCC modelers to try running their model from 1610…But that’s not really fair, or is it? It’s true that the software struggled to replicate the ~11year solar cycle amplitudes consistently, more to be done here clearly. I think other techniques like the one Roy Martin developed may help, in conjunction with Tim’s software output.We didn’t show the curves because they would have cluttered the graph and anyway we know them not to be ‘real’ as a combination. The mid-long term periodicities lying nearer the middle and outer edges of the envelope are the most important here. I’d be very cautious about putting a figure on the potential fall in global surface temperature at the moment. My simple solar-planetary model which uses integrated sunspot numbers as a proxy for ocean heat content cushions the effect of a sudden TSI drop. Plus, the oceans tend to burp out excess energy stored during runs of high solar cycles when the sun quietens down, and this will help maintain SST’s and air temps. There is much to learn in this area too. If the model is right, and the data we get from ARGO is honest and produced in a way unbiased by preconceptions, we will see a significant drop in Ocean Heat Content proportional to our generated curve. P.G. : Some tweaking can be done, but the software deals in sine waves only at the moment. There is much to discover just with sine waves though, so I’m not too worried about this. Richard: Yes. Like carrier waves. Intriguing isn’t it? I’m sure Tim will stop by to tell us a bit more about the software soon, though he has a lot on at the moment. Any scientists who want their datasets analysing should contact me in the first instance. –	If TSI is the governor of global temperature then + – 1.5W/m2 is not going to do great deal for either the global warming or cooling. –	You need to back extrapolate to 1000AD, to see how it fares against other SSN grand minima. –	If it does, than the hardest part is to find source of the frequencies involved, and show that there is an acceptable physical mechanism. When done you’ve arrived ! Hi Vuk, and thanks for your input, valid points all. Nir Shaviv found that the solar variation is amplified 7-10 times by terrestrial mechanisms in his JGR paper on using the oceans as a calorimeter. He didn’t state what they are for certain, but the guess I’d go with is magnetism and it’s effect on clouds via your hypotheses and the Svensmark effect as the big one. Knutti found that the climate sensitivity might be higher once the way heat is transported from equator to poles is factored in properly. I’ll be putting up a post showing how the output looks when we go back as far as the Roman and Minoan warm periods soon. First I want some discussion on validity and some ideas about potentially useful periodicities. NASA scientists Wolff and Patrone have a potentially viable mechanism for the effect of the planets motions on solar variability. Demonstrating that with time series is another project in progress. The frequencies are the puzzle, and your equations provide some of the keys to unlock the solution. Please come with us on the journey so we can all arrive together. Milankovitch cycles were also rejected as a cause of the ice ages because the calculated total energy change was not enough. What is ignored in climate science is that cyclic behavior is self amplifying. Think of a child on a swing. A small signal repeated in phase gives rise to a large observed motion. This is how the tides work on earth. The forcing is quite small, but because it is cyclic it leads to large observed motion in some spots on earth, and in other spots there is almost no motion. This is what is ignored in climate science. That cyclic forcings are likely to lead to large regional changes in climate in some spots on earth, and small chanes in other spots. By treating climate as an average they have totally missed the plot. A study of the tides is quite revealing because they are much more complex than one might imagine, yet they are quite predictable using just the sort of analysis you are doing for TSI. ps: I forgot to add that the problem for many people is to think in terms of cycles many times longer than human lifetimes. They find it hard to imagine that a pendulum doesn’t care how long it takes to swing back and forth. To a human being, if a pendulum has a period in excess of 100 years it is extremely difficult to prove that the motion is cyclic. At any point in time the motion will look linear. If the period of the pendulum is 100 k years, then for all intents and purposes, it will appear that the pendulum is not moving. Measuring the motion and proving that it is cyclic is almost impossible, unless there is a geological record to match. That is a good approximation. The orbits follow longer cycles as well which must be taken into account. Then you need to acount for regional differences caused by the shape of the ocean basins. If you averaged the tide globally you would miss this. See fig 4 on the URL below. Where I live, a 10 foot tidal range is common. In Darwin Australia we experienced regular tides of 25 feet. Cyclic forcings create much larger motion than is predicted by naive application of theory. So, maybe a 1.5 W/m2 TSI difference is more significant than it might first appear? After all, one part in a ten million difference in the gravitation force moves one heck of a lot of water. Tallbloke: You do me unjust. I wasn’t damning with faint praise – I was praising with faint damns. I just forgot to put the faint damns in. Re heat retention in the ocean. Since I read your earlier post on integrating SSN>40 I’ve been trying to come up with empirical evidence to support the idea that solar heat builds up at the ocean surface above a certain threshold level and over long periods of time, but I haven’t been able to find any. I can still fit SST to solar only when I assume a transient SST response to solar forcing with a +/- 12 year lag in SST. Here’s a new twist on your theory. Solar heat does accumulate in the ocean during periods of high solar activity, but at depth, not at the surface. (We need some kind of a downward heat transport mechanism to explain the cyclic SST-SAT relationship anyway.) Any thoughts? I’ve always thought the excess energy must be forced down into the ocean. There is nowhere else for it to go. What gave you the impression I was talking about accumulation of heat at the surface? My point about the way the solar effect on climate is underestimated is due to the energy disappearing to places where we weren’t measuring it. Mechanisms for downward transport. I asked Judy Curry and Peter Webster about this at Lisbon as we toured the castle walls. They said plenty of overturning and mixing to much greater depths than the tropical thermocline is achieved by cyclones, tides and currents. Add to those the basin sloshing induced by changes in Earth’s length of day, and the currents altered by 18.6 year lunar declinational cycle and there is plenty of mobility for energy transport in the oceans. Having said that, there is plenty we don’t know about this stuff, so attacking it from all angles seems a good move. Thanks by the way GE and P.G. for your comments on tides. A random thought. I don’t know what Tim Channon’s profession is, but he seems to have done all this wearing an acoustical engineer’s hat. Clearly climate science is too important to be left to the climate scientists. I spent 20 years sailing offshore and would certainly agree with that, though it can be surprisingly cold on the deep oceans even right on the equator. Shallow areas like Indonesia where the water is 200 feet deep for thousands of square miles the water temperature does heat up. A mechanism to move heat from the surface to the deep oceans? Sure, consider the wind. As warm surface water moves as a result of wind and tides it will force slighty cooler water downward, and colder water at the bottom of the ocean will flow like a river to make room for the water. In those places where the warm water has left, slightly cooler water will rise to take its place, and the cold river at the bottom of the ocean will flow into the space made available. The problem in visualizing warm water sinking is in assuming that water is stationary. It isn’t. Surface water on the open oceans moves about 15-30 miles per day, sometimes a lot more. That is a huge volume of water in motion with a lot of thermal energy. Somewhere there has to be water rising and sinking to make room for this motion, with a lot of thermal energy travelling vertically. I couldn´t dare as I am just a layman, but who dares? That finding would be an epiphany. Tallbloke: What gave me the impression you were talking about accumulation of heat at the surface was your comment: “I’d be very cautious about putting a figure on the potential fall in global surface temperature at the moment. My simple solar-planetary model which uses integrated sunspot numbers as a proxy for ocean heat content cushions the effect of a sudden TSI drop.” My point was that while there would be a cushioning effect relative to OHC there wouldn’t necessarily be one relative to global surface temperature, which is what I was predicting (projecting?). Anyway, apologies for misinterpreting you. Amazing, incidentally, that we still don’t have an accepted metric for measuring global warming. Thanks Tim, that’s a very revealing plot. 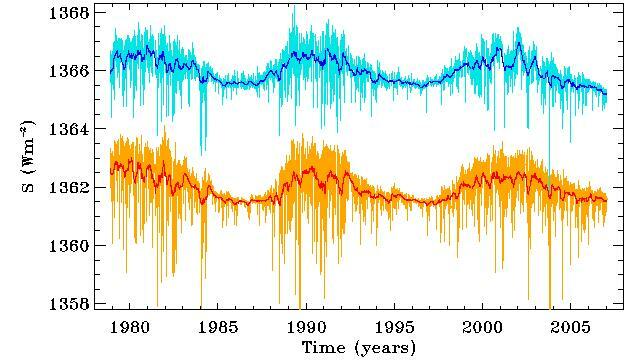 My own view on this is that the de Vries solar quasi-cycle of 210y(ish) seems to have had the main impact as shown in the (poor) historic record. The cycle seems to cause 100y(ish) periods of regular cooling and warming but never with good correlation at the decadal scale. There always seems to be periods of warming within the cooling half of the cycle and periods of cooling within the warming half of the cycle so a definite pattern is hard to see. The amplitude and length of the max. cool or max. warm period within each half quasi-cycle also varies quite a lot. Perhaps the other longer and shorter term over-lapping quasi-cycles smear the signal due to the deterministic chaos inherent in our climate system. I’m concerned that we are just at the start of the cooling half quasi-cycle and are already seeing colder NH winters in areas of dense population. It could be that what history shows us are regional effect, with very cold winters in China, USA and Europe. Maybe the greater proportion of sea in the SH buffers the change and they get more normal winters, but cooler summers. I don’t think the long-term records are good enough to show this. Average climate is a useless concept. It’s what is happening where people live that’s important. Ah, well, you haven’t read enough of my ramblings on this subject. My hypothesis is that the heat forced down into the ocean when the Sun is more than averagely active comes back out again when the Sun is below par. This is why you get big el nino’s near solar minimum. There has been one at the last five solar minima. So energy rises back to the surface, warming the SST’s and depleting the OHC as it convects and radiates to the atmosphere. The Ocean Heat Content is the correct metric for global warming/cooling if you are trying to understand the energy flows in the large. You need to do this in order to understand solar input, and the lag which masks the size of the solar signal in the Earth’s climate. Because big el nino’s at solar min and la nina’s at solr max flatten the signal in surface measurements. Well that’s what is important to farmers and the people who eat their produce. For the climatologist, an understanding of the energy transfers under the ocean surface is essential if you’re going to be able to work out which the important climate factors really are. If you don’t manage that, you’re not going to be able to make useful predictions the farmers can improve their chances of good crops with by being able to better plan for the future. Back in the days of dinosaurs, I was at university in a poorly remembered astronomy program. I recall a “Fourier” analysis of complex frequency patterns to deconstruct them to their component, simple frequencies. Is this different? And why hasn’t such a wave-deconstruction program been run before? I’m sure mechanical engineers specializing in vibration problems do this regularly. This makes perfect sense to me. A change in the vertical temperature gradiant perhaps combined with a change in wind strength controls when the cold deep ocean river is able to break out at the surface. Otherwise it is trapped below where it forms a lake of cold water as the cold river of water continues to flow and pressure builds. Once conditions are right this lake breaks out and overflows at the surface, to produce alternating el nino, la nina effects. Doug, from what I understand, that is what the software does. It creates Fourier analyses on the fly and refines the cycles until the best match is achieved. I don’t know why it hasn’t been run on solar data before, but I’m glad Tim got the ‘Talkshop Team’ there first! If you average things out, there is probably very little net energy transfer. For example, if you averaged the tides over a year, the motion is negligible. The reason Climate Science averages things out is not to increase understanding, it is because the volume of data is too large to manage otherwise. However, averaging decreases the information available, which can lead to false conclusions. ge0500, yes, and also, a colder clearer atmosphere loses heat to space faster and so cools quickly, creating a bigger temperature differential with the sea surface. This permits energy to move more quickly from the ocean to the atmosphere, and out to space. The question is, how fast does it deplete OHC? It looks like we’ll start finding out over the next few years and I’ll be able to refine my simple solar-planetary energy model. I agree Rog, but because the system is dynamic, it is not enough just to know the average thermal global energy in the system. You need to know where the energy is being stored or discharged at each moment in time and how it gets moved about to different places on the globe. Only by understanding the detail of how the system responds geographically to small changes in solar energy input of all types can useful regional predictions be made. Climate science seems to have forgotten that averaging the behaviour of a non-linear dynamic system ,like our climate, provides little or no information about likely future events. Tallbloke, if you haven’t encountered Ray Tomes, go to http://ray.tomes.biz/ and do it. If anyone can help out with cycles, he’s the man – he’s been studying them for years. Cyclical processes do seem to me to be much more likely as an explanation of the climate’s workings than the accumulating effects of a trace gas (mind you, I’ve visited Mr. Tomes’ website myself 😉 I’ll be interested to see if you can correlate the cycles with known phenomena – that’s got to be the nitty gritty. I agree that finding the right cycles in nature and matching them to the analysis is the big challenge. I’m pretty sure we are missing a few in this analysis. One of around 900 years and another at around 2350 years. probably another at around 4600 years too but that one isn’t too important for our timeframe in this interglacial. Forget cycles for few minutes, sit back and enjoy celestial fireworks (keep an eye for comet in March, Halloween and Christmas displays. I’m at a bit of a loss on what to say without a mountain of information, either overload or bore. That is a good description as a kernel of the concept. Lots of different ways of describing it but one that clicks with you the reader is the hard part. A normal Discrete Fourier Transform DFT is an approximation and ambiguous. It cannot give accurate numbers for frequency, amplitude or phase. It is possible to interpolate but this is still not very good. In essence I am creating an FT from discrete in time data: the numbers are not quantised by bin etc. On other kinds of problem it spits out somewhat accurate data measurements. The number of terms used is limited, kind of principle components. Satellite sea level data was found to be strongly predictive, story in there. Solar data is hard and the path forwards continues. Solar, temperature, sea level connected? Yup but without a mechanism this is just a curiosity. The output is a model of the data and includes a ready for spreadsheet import model which can be rebased to different time quantisation etc. Another important tool is end corrected filtering. What Tallbloke has shown has not had any work done on predictability, often a lot of work. Results range from law through to forget it, is either random or not understood. If there is genuine interest I will see if a compromise can be shown in this thread. I concluded that Lean does not disagree with that interpretation but neither is it a safe conclusion. Hopefully, some further ideas will come out of comments here which will be usefull in firming up the basis for this approach. This graph must be kept as a bookmark. It is not only about that small climate thing it´s cycles. The above is not in any way intended to diminish the value of Tim’s analysis. Planetary analysis should take a back seat to other methods, if those other methods produce results that turn out to better match hard observational data. Unfortunately, the only really good solar data is satellite data from 1979 to present (less than three normal Schwabe cycles, or 1.5 Hale cycle). In that time frame, the Sun is behaving very unpredictably. A variety of things are possible PGS and if not it is my source code. There is no magic bullet so please don’t expect much. Normal operation in involves a few command parameters and wait. It decides on where to start and what to add. Just the sample rate and how many terms to use plus the input file. Things can of course be more complex. What you want might be escape out, edit in some specific data, lock most things and resume. When it has settled (roughly sorted out phase and amplitude), stop and take off the locks, resume. This where it is all a human call, no way of knowing what will happen. Looking at the input data is a good idea, including the spectrum. With this long period data there is often little information but spectral broadening can give clues on what the structure might be, is beyond that kind of analysis. A spectrum of the residual shows what is remaining. Gerry: A great deal needs to be said and discussed about periodic factors. I am afraid that a lot of what is written has no basis, things do not combine in the patterns supposed. Action at a distance does vector sums. That said and tends to be dismissive of eg. gravitational effect, it does not follow that eg. speed of light magnetic effects are not planet positional effective. I think very little is known about solar system magnetic and similar factors. This is of course linked to the cosmic ray problem. Don’t take any of this as a conversation stopper, I can be wrong and do make mistakes. Kind of an aside. Was looking through the NOAA archive. I came across some pretty much sick stuff from history, are a joke, but one item took my attention, Overpeck paper from 1998. This is about Arctic and includes a version of Lean. Pull that up and look in case it is significantly different, nope. Casually chucked to though a 100 year filter, no surprise. Also so in the data is a temperature dataset over the same period. Pull that out and hurl it through the same filter. Plot both. Oh dear, it is very close to a clone of the Lean. So why is the temperature a clone of the solar TSI you show? Seems a move along, nothing to see here. Some really useful contributions here that have jogged some ideas about how to advance this technique, thanks everyone. Following up P.G.’s question and Tim’s reply, and Gerry’s timely admonition regarding the short length of reliable data. I also got an email back from Ray Tomes last night pointing out the timescale the limit of accurate spectral analysis given the length of the base data. I was wondering if it might be possible to build several proxy datasets using ‘the best we’ve got’. i.e. splice up the datellite TSI with suitable Maunder onwards reconstructions such as Lean’s and Svalgaards, and tack on the paleo and 10Be stuff beyond that all the way back to the year dot. The Ljungqvist 2010 curve lgl posted on the 10Be thread might be worth a try. Although we’d expect the result to be ‘through a glass darkly’, it might tighten the longer cycles up and give us a better idea of whether the simpler planetary relationships are operative, or whether we are looking at a complex mix of gravitational and electromagnetic influences. Or something else entirely. We should remember the interesting result Gray Stevens turned up at this point which seemed to indicate maxima in solar activity occurred when there is a lineup of big planets both in straight line gravitational terms and along the parker spiral. More analysis is needed there to see if that configuration consistently has an effect. Problem is it is so rare there are not many examples to test against the sunspot record. Regarding the de Vries cycle; are there any proxies going back a long way which show a really regular tight 210 years? Tim has sent me another spreadsheet he’s produced with the following graphs included. I’ll just note that the peak to peak on the blue curve matches the period Semi identified for the cycle of total angular momentum in the solar system. If I recall correctly he re-calculated it to be around 934 years. Tim didn’t know about that in advance so this is a very pleasing result. That is not purely true, needs more context on what it means. This is not a criticism of Ray who would have been briefly answering a question without knowing the full context. I am pushing the envelope by using indirect computation by (in essence) shape matching, whereas a direct spectral analysis and particularly on discrete data cannot even go as far as what Ray Tomes says. More bluntly it cannot compute _any_ spectral line, merely there is a line (frequency) somewhere between the frequency bin (as in notional container) lower and upper boundary. Similarly phase and amplitude have serious limitations on accuracy. The above applies to the largest (quantity sense) DFT which can provide more information, which is the smallest bin size. In essence I am refining to an FT using Discrete (sampled) data. This will also be trading on quantisation, which for the kind of data involved is woefully poor. That is partly why I am trying to be cautious. This is one of the fun areas, heuristics where there is no pure answer. Not dissimilar to the chess playing computer and with the better example of the travelling salesman problem, a problem where for significant but surprisingly small N it cannot be computed in a sane length of time. Heuristics can provide an engineering solution. Do you want a good answer or none? Give me the data for a sensible fragment and I’ll see what happens and show you. This can be audited if there is dispute and Tallbloke has a copy of the program as a reference. I expect there are ‘net texts explaining but no good ones come to mind. Otherwise try a ‘net search and if you discover something clear let us know. As so often it can be the very devil explaining an idea or concept to another person. In this example a ‘net trawl shows a working history of explanation attempts, elliptic answers, daft questions, wrong, you name it. The very long period is ambiguous. Something is thereabouts, a lovely old word. Neither will reality be a precise math shape, be knobbly and wobbly. The point is that the human record says something akin to that is history, so this is consistent with that but it is not a solid proof. In private where there is trust and knowledge that ideas are being banged about showing such things is rarely a problem. In public is a whole different kind of fish. I’d shown something similar to Tallbloke in private where his reaction was wanting to show it, I objected precisely because this is asking for a cold shower from others. Great comment Tim and needed to be said. I think this issue is a major problem in finding truth, and leads to the sort of confirmation bias seen across the whole of modern science. Only fluff which matches the current paradigm is allowed to pass through the gate of the peer review process, while anything which would falsify the mainstream ideas is blocked, or attempts made to destroy it. For example, most of the paleo temperature data-sets are lacking in spacial sampling points and suffer from incorrect assumptions about how proxies respond to change. Even current data-sets have some of these issues and the temperature record ends up smeared and imprecise. It ends up like looking through a telescope with the lens covered in Vaseline – add as many layers of dust to this as you like as we go further back in time. Constructive criticism is always welcome. This site provides a waterproof and fire retardant umbrella for those discussions which otherwise attract hosers, flamethrowers, and other assorted impolites. There is nothing wrong with discussing conjectural possibilies, provided they are not put forward as fully formed theories with high levels of certainty. I’m past caring about the posturings of people who are more guilty of peddling guesses as solid science than we are. Let them rant while we get on with the pursuit of knowledge. The 934 years is the approximate centre of an envelope which probably ranges from about 870-960 years. The motion of the planets taken as an ensemble never repeats exactly on any timescale. That’s part of the fun in working out the puzzle. I’m trying to achieve good engineering estimate, not perfection which doesn’t and can’t exist. This is the ‘partially deterministic chaos’ Tenuc talks about. @lgl. Thanks for sharing. What does the bottom edge of the graph look like? The buttom envelope is a mirror of the upper. Using 10 and 11 yrs is just a ‘trick’ to avoid using the real cycles (Ju-Sa 20 yrs and Ju-Ea-Ve 22 yrs) and then rectify like nature does. Perhaps Tims software can do it the proper way. Not sure whether the 11.8 Ju cycle should be kept or made 2*11.8. Hi. Any chance of getting the numerical data for “lean split into 3 components” graph you showed earlier? Almost certainly not a problem. Courtesy check with Tim first. That’s the best anyone can do. The accuracy possible for prediction of future events depends on data/knowledge of the past, the non-linearity inherent in the system and our ability to identify random ‘black swan’ events. A ‘good engineering estimate’ is still useful in that it allows focus to be directed on the part of our complex system likely to deliver the low hanging fruit. Shame the IPCC climate scientists cherry-picked CO2 as the main driver of change, rather than looking up to the stars. I tend to think that SC25 will be larger than SC24, possible significantly higher. Vuk: If those cycles (waves), represent energy, of how much energy are we talking about? RA sure. Just a matter of agreeing who, what and how. It is Tallbloke’s place. lgl: I think you could do that using ephemeris software or from data it outputs. “Vuk: If those cycles (waves), represent energy, of how much energy are we talking about? Good question Adolfo. The IPCC cabal of CAGW scientists speculate that a doubling of a trace gas could have a big effect, unlikely as that sounds. It could be that only small amounts of energy need to change, which are amplified by changes to albedo, ocean current, winds etc. When driving my car, just a few ounces of pressure on the accelerator unleashes 225bhp, which then catapults the car down the road with great speed. Tallbloke and Tim: Thanks for the data. 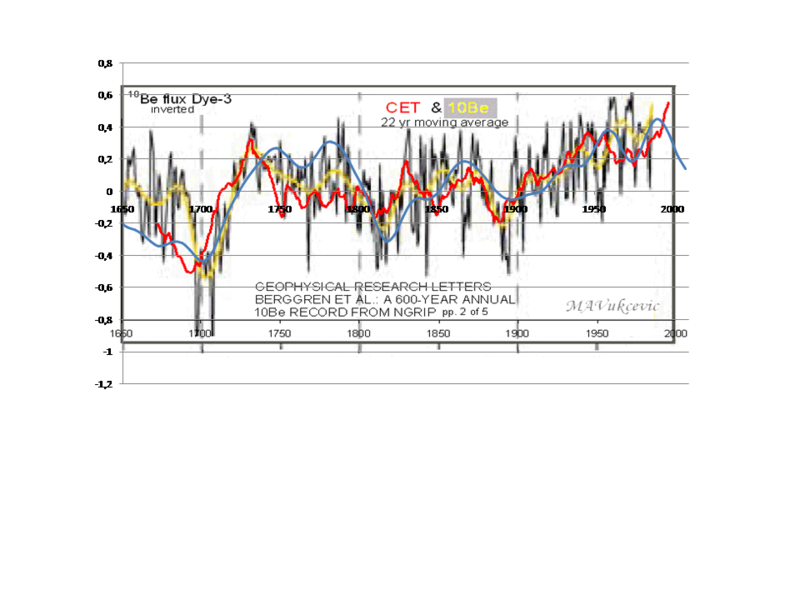 The 25-300yr bandpass plot (red line) on the “Lean split into three components” graph you showed earlier is an excellent fit to the SST-SAT graph I showed in the “plot thickens” thread, allowing for a +/- 13 lag in SST-SAT response. So you think this makes the case for solar influence on SST SAT relationship a lot stronger than before? Doesn’t look like there is a lot of room left for anything else to me. The way I see it is this. Tim is sitting in front of his computer applying harmonic analysis to the TSI record to see if he can project future solar activity. He doesn’t know I exist. At the same time I’m sitting in front of my computer thousands of miles away messing around with temperature records to see if I can find a relation between SST and air temperature. I don’t know that Tim exists either. Now we put our results together and get a +/-0.9 correlation. There’s always the chance that this could be serendipity, but I don’t think it’s very likely. Welcome to the undefinable magic of the Talkshop. Roger A: Need to sort that out, it was a casual, wasn’t treating the dataset particularly seriously. On the other hand so much has gone nuts since 200x anything is possible. I think you have the lot including the input data. Not neat and tidy, column E is the Lean data and yes it stops at 2000. Ah got it, must be Y2K problem. Serious: bandpass is column D with no data after 2000. Umm… so what is going on? Is your plot software ignoring missing data? I can incidentally oversample if you need more plot datapoints, such as monthly. 5 minutes or so, no idea if overfitted or whatever, reports r2=0.999996, should do, most of the noise vanished with the fast data. Drop on spreadsheet, make up for a plot. Must be faulty can only see one trace, they overlay. If this match is real, solar *must* lead. OTOH Al Gore can affect the sun, Anthony Watts also, he makes sunspots. Tim, I just supplied Roger the data he asked for, not the sheet. I’ll have a go at following your notes tomorrow. Tonight, I must fill some forms and do some dull paperwork unfortunately. Wow. A lot to consider here. Stand by. Missed your intervening post. I’ll leave it to you to consider it for me. Let me have a bit more practice at running the software, and manipulating the files. Then if we have Tim’s blessing, I can share with you and help with the technicals. I haven’t recompiled so you have a bit for bit copy. The only reason I suggested you could do a run is to prove there is nothing hard coded in the program which does cheats. The 22 degree tilted axis earth orbits a local star once per earth year on a slightly offset orbit. Closest approach is 4th January, the middle of northern winter. Isolation tends to follow a sine shape and varies through the year. The Antarctic compriise a rock surrounded by water, Arctic, water surround by rock. The surprise is that the earth’s orbit is able to produce this rather exact function and only going in one direction. Something to consider, the ice extent seems to be out of phase with insolation, I’ve set the grid appropriately. Never analysed this. Now consider the sunspot cycle. That too is likely to be caused by a bipolar stimulation but can only go one way, the sun gets angry. This is liable to confuse assumptions about cause and effect. There is more. The late Jack Eddy (*) pointed out an undulation in solar data. I do not show this but probably could produce a demo, if the whole sine slowly wobbles up and down the effect is some peaks are higher than others in characteristic pairs. You see alternate heights, high low high low. I’m not sure that I understand all of this, but then again I’m only an ‘engineer’. I’m not sure that I do either, but from what I can gather it looks like yet another breakthrough that deserves a thread of its own. Could be that it is opaque. Might even be wrong in part. Try this paper. Figure 3 might be pertinent. Gerry noted in a previous thread how the barycentric distances are ‘miror imaged’ either side of the Maunder Minimum. Gotta dash, more later. [Edit] Wrong, it was this graph from Roy Martin I was thinking of. The real solar cycle is 22 years, rotation, but because sunspots are produced both when the rotation speeds up and when it slows down, it appears to be 11 years. lgl: you mean something like this? that is indeed what my SS formula defined, as I formulated it in 2003, than the waveform was ‘rectified’ to follow the sunspot graph convention. At 1800 gets out of phase by pi/2, that was ridiculed by NASA’s Dr. Hathaway, but than number of authors like Timo Niroma, Charvatova and even Dr. Jane Feynman (JPL) spoke of phase perturbance around 1800, and some others about the missing cycle 4a. Whatever happened around 1788 has to be accounted for. The 22 year is a magnetic cycle but this is supposed to change around the peak of the optical cycle, not in the trough. Doesn’t seem right there is natural quadrature, I don’t know. I am unaware of data on this switch back into history. Solar polar polarity diagram about half way down this page. roger andrews: had a chat with Tallbloke this evening, he is going under with things to do. Didn’t say I would but I have made a spreadsheet available. Is the SS I sent to TB but with a new sheet containing a model. This will be very slight different from the above, couldn’t find what I did last time. A rerun will differ slightly, zillions of random numbers are involved and seeded randomly. This site may be of interest, it got me started on the idea of solar angular momentum and planetary influence on climate. Those sites are full of interest to those interested in the planetary-solar-climate connection. They are run by Geoff Sharp, who used to contribute here until we had an unfortunate misunderstanding recently. I hope he’ll rejoin us at some point, his contributions have always been of value. You are close, but do you get the right average cycletime back to 1750 without the third main component of 22 years? Just saw your post. Yes, I can open the file, but in read-only mode. Just recovering from going to a British Sea Power rock concert – ears still ringing and head still about to explode due to too much ale! Don’t know why ghost of a strange idea came into my head after reading Tim’s, Vuk’s and other comments and I’ll have a think about it when I’m feeling better before throwing it on the table to be kicked around. Yes, all the way to 1600, if Cos is replaced by Sin, prior to ~1800. I favour missing cycle 4a, which was only about 5-6 years long (1/2 cycle, introducing or pi/2 phase change). same formula, same parameters, and tallies with C14 modulation. Sun is about to change ‘gear’ from ‘fast’ to ‘slow’ (you’ve seen it here first). Two reasons why I think you are wrong. – Your 1600-1700 graphs. You get one cycle more than the C14 is showing so they are in counter-phase around 1675. What on earth (or sun) is the Sg.htm? Gears, what an engaging idea. At some of the solar activity looks like amplitude modulation and could be considered different blocks of activity. Premable: The dominant timing item in the solar system is Jupiter. From a gravitational point of view the forces from all object sum and that has a dominant period of around 19 years. Q: So why is the sunspot cycle strongly neither period and also those periods seem to be conspicuous by their absence? I agree about 1675, but that is in the middle of the Maunder min, very few sunspots anyway. It is in phase for 3-4 cycles prior to 1660 and than again a cycle later gets in phase, after 1685. I am surprised that it is as good as that. Last 300 years had 27 cycles. Here cycles are shown in polar instead of the Cartesian coordinates spread over 3 x 360 degrees (electronic engineers often use polar coordinates for periodic oscillations, either as a vector if amplitude is constant, or a waveform if there is an amplitude modulation). Because I haven’t seen it done that way before. It shows another (possibly unknown) aspect of the solar oscillations. It is generally accepted that the dominant period is 11.12 years. The dominant timing item in the solar system is Jupiter, agreed, but what most people don’t realize is that Jupiters counterpart is not the Sun but the Sun and the inner planets together. If you cut the solar system at Jupiter, in the context of free fall Ju is in free fall around the bary center and its motion is countered by the other object, which is the Sun and inner planets together. The problem is, Jupiter is accelerating the inner planets so they are moved a little away from the Sun, i.e Ju is accelerating one part of the object it is orbiting, but the object as a whole can not move away from the BC because there is no force to do so, hence the Sun must accelerate to counter the inner planets movement – puh – that wasn’t very good english either. This is why the avgerage sunspot cycle length correlates with the Ju-Sun-Ea&Ve ‘L-configuration’, the accelerating configuration. And then there are other planets of course that mess things up a little. I’ve yet to understand the force concepts, doesn’t fit with my understanding. Put another way my understanding is in limbo and staying that way is no bad thing. An oddity, the moon is roughly synchronised with the solar system gravitational period. Never looked at that in detail. As far as the solar cycle is concerned I have strong suspicions translation is needed into some other domain. There is likely to be a lot of non-linearity. I’m trying to get at the underlying stimulation. I thought you might be interested in this 10,000 year TSI reconstruction by Steinhilber, F., J. Beer, and C. Frohlich. The readme file contains the reference. Any idea Vuk what causes this dominant 200y(ish) series of high/low solar quasi-cycles and what modulates the amplitude of these events? It would seem that our planets aren’t linked to this cycle and the current standard model of how the sun operates can’t explain it either? Been busy. There seemed to be a wish to add user constraints on period so I thunked and is done. Useful? Too early to tell. Been a must do for some time. Needs extending to handle the modulation parameters. Perhaps sometime I should say more about sampled data and why I tend to ignore statistics math. Dire story in there about science practices. Keep in mind this is just patterns and no great meaning can be placed. The chirp is saying things. The 200y is unusually sharp for climatic data, something is real or there might be one of those mysterious zeros nearby. Around 350y is confused modulation or chaos. Around 1ky is also not so simple. Ooo… thought, why not, dumped in circa 45y and 11y which I can now force. Not surprised 46y shows because that is in the solar data. Phase is about right for recent data. Sunspot cycle data ought not to be there, too close to Nyquist violation but this software is not fussy about “impossible”. Sample period is 5 years. Grin here, it gets today roughly right. Likes 11.66 years overmodulated amplitude modulated by 83 years if that is anything. I then changed it to unipolar. It switches to 22 years (correct) , am at 100 years, which makes sense. Don’t like the shape. very difficult to do. Only then might it lock in to the sunspot data well. Need to fiddle around, not happy with the results. Your graph looks good. Love the big Roman period! Give us a clue on the longer terms. Anything around ~2350years? Suggest you try that and ~4,700 years as well. These are known planetary cycles which coincide with known climate cycles. So together they will produce a ~200y and a ~210y cycle. Thanks lgl, looks like the planetary connection could be there! Interesting that 200y & 210y both show up. Is there anything about the planetary positions which could account for the different amplitudes between these quasi-cycles? 1.35 and 1.4? Less than 4 % difference. Probably well within uncertainty. I wouldn’t call that different. Anyway, all you need is a bit more variation around 200 compared to around 210, and Leifs detailed graph indicates a bit wider peak at 200, so I see no problem there. wow, perfect, I had forgotten that one. If a Ju-Ea-Ve accelerating config isn’t perfect or the effect is perturbed by other planets, the next opportunity is 3.25 years later, /2=1.62 Example here http://virakkraft.com/Accel-config.pptx So, 10.38 or 12 or even 13.62, all peaks in Timos diagram. lgl, 1.62 is close to the Venus-Earth synodic period. Also, we found that if you set up suitably weighted alignments and graph the results, the alignment cycles match the timing of the solar cycles when you look at the alignments along the parker spiral rather than straight line gravitational relationships. 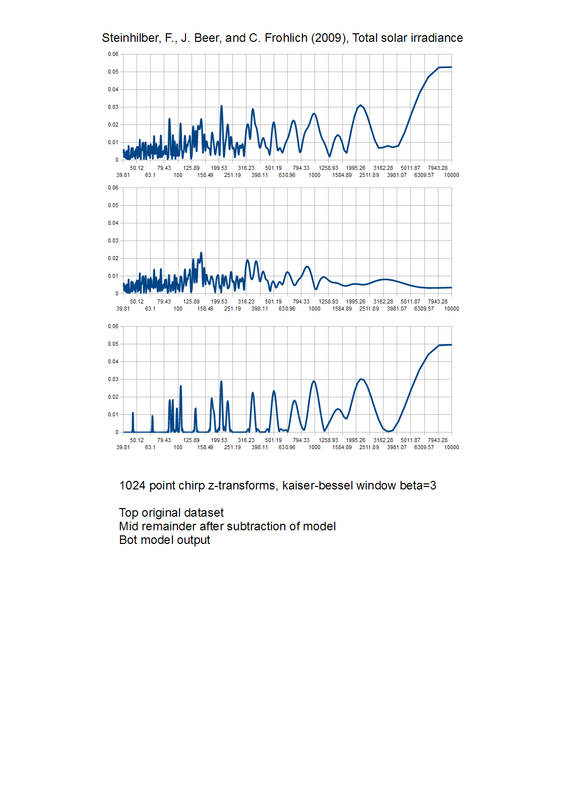 Allowing for changes in solar windspeed improves the correlation further. Anything around 2350? Try midnight. The fabled ~1470 is there if not strong. Been a bit further which involves looking at the residual spectra. Knocked out enough. Do the results make sense? I am sceptical, something doesn’t feel right. Losing me folks, I’ll watch. I don’t follow how the maths works creating out of what are just maths integer relationships. The 200y is of immense importance if it can be shown real and with a mechanism. Wise old engineering maxim,” If it doesn’t feel right,it ain’t.” But it is a good start. On the other hand, when I create something complex that works better then expected I get the same feeling. 😉 I must have made a mistake. If I read the chirp correctly I see the solar 22year cycle plastered all over it, all the way out to 2,200years. Tim, the little bump at ~3300 may be important too. 6600 and 2245 years is the pair Ray Tomes comes up with here. 2245 isn’t far from your 2173 at all. Barnstorming round the puzzle is well worthwhile. Let’s all keep at it and distill and test as we go when something gels. I think folks want to see more. First an apology, I didn’t remember I had truncated the input data at 1900. Too little to have much effect. For the full data and over a wider spectrum, some detail is lost. This also illustrates some of the process, which is simple. To do this the exact period, phase and amplitude has to be used, why the match has to be computer controlled. Terms as is, been playing and so accuracy is poor. A couple of the items have modulation enabled, not indicated which. Here is a large image, you might have to move around. This should allow gauging of the degree of data match and the noise (chaos, junk, whatever) remaining, as well as a faithfulness of the match. Considering SBF’s reconstruction is probably heavily affected by all sorts of non-linear terrestrial effects that’s a really impressive match in my opinion. Maybe finally, low pass filter @400 years. Pure guess value but gives a general feel. I haven’t had a chance to read the SBF paper, so I don’t know whether they used the C14 series Ray Tomes used. I’m still not sure that I understand this. Without a model that can connect all the systems together, I can’t see it as anything more than numerology. For example, any interaction between Sol and its orbiters has to be mediated by the teleconnection of gravity (what other?). Whether that teleconnection materialises as a tidal force, or a Barycenter type perturbation, the connection is open to interpretation dependant on the chosen model (what else?). This poses a problem with regard to Sol’s observed rotational rate! SS are observed to orbit Sol at a rate of ~35 Earth days per orbit/rotation, but the shortest planetary orbit in Sol’s solar system belongs to Mercury, which displays ~88 Earth days for completion of a full orbit of Sol. However, the planet with the major gravitational influence on Sol is the gas giant Jupiter, which is ‘way more’ retrograde to SS progression than Mercury. How can the teleconnection be caused by tidal influence when the orbiting planets can’t keep up with Sol’s rotational speed? There has to be an ‘offset’ and one possibility is the opposite of planetary atmospheric circulation, Sol’s core generating rotational energy to it’s atmosphere. What’s the rotational speed of Sol’s ‘core’? I mostly leave study of the interior of the sun to the Heliosiesmology folk, so can’t comment on that aspect. However, you may be interested to know that just a few months ago, a couple of NASA scientists called Wolff and Patrone published a long and detailed paper on how the planet’s can affect the sun. Yes, I know and yes I’ve read it. However, If you want to comment on solar activity you also need to know the ground rules (not of how to comment, but more to do with the factual content). To what model do you refer? TBH, There isn’t one! Perhaps I should go elsewhere if you don’t want to elucidate your current understanding. I concur. I think we need a ‘model’ that we can ‘fit’ the data ‘to’ before we can continue. Here is a compare of Lean TSE and SBF TSI over the common timeframe. However a more tractable gauge was use modelling trickery. Took the SBF data and modelled to r2>0.999, then output from the model at the Lean sample rate. Lean is annual, SBF 5 yearly. R2 is lower but looks nicer. 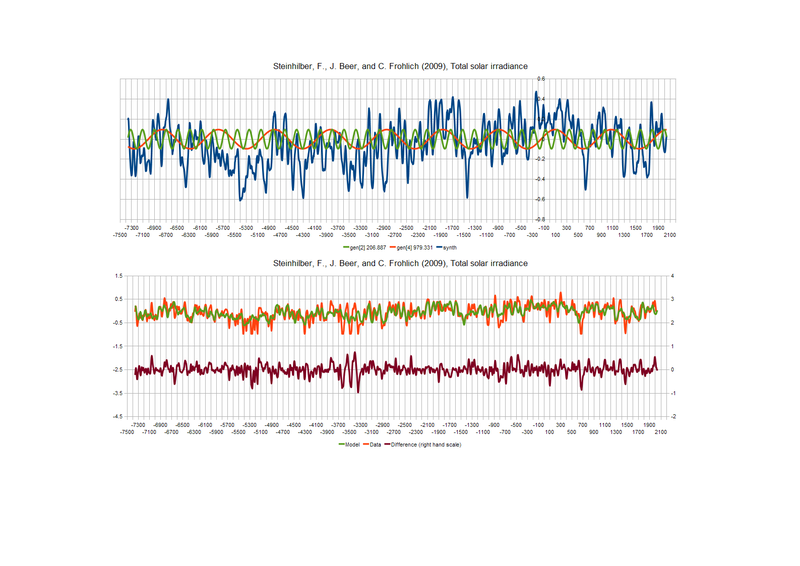 I was able to time adjust and that suggests a degree of mismatch of the two datasets, not of major importance. So broadly they are the same. Lean is suspiciously flat during the sunspot famine which does not intuitively make sense unless only sunspot activity is an arbiter of TSI. I have been reading this site daily but not too many comments as you are far ahead of where I am, still looking at just the sun/earth/moon connections, making some progress on the movie of GOES satellite pics though. I’m interested to listen to ideas about the internal workings of the sun, I just don’t feel qualified enough to pass judgment on them. Would you like me to run a thread on ideas about the solar interior? If so, please could you help me by writing a synopsis of the main hypotheses and introduce the alternatives. I’m snowed under, and want to encourage contributors to help me keep the blog rolling with interest for the benefit of all. Thanks for the reminder. I need to get in touch with Ian Wilson and see how near his paper on the Sun-Moon-Earth orbital relationships is to publication. It’s great to hear the video work is making progress. I hear someone advised you to do a short segment first to iron out wrinkles before going for the big one. Looks to me like as well as the Lean TSI probably making some assumptions about the sunspot-TSI relationship, the proxies reacted to a long term loss of Ocean Heat Content. More support for my view of long term dissipation/accumulation of solar energy in the global ocean in my view. I will run the lean TSI through my cumulative model and generate a series for you to run through your software for us. What you are trying to do Richard is important. Perhaps there is a commonality in that both are about communication between information to do with the real world and humans, about insight. Assume that parker spiral goes clockwise starting from the Sun. I’m using more like a counter-clockwise spiral as ‘suitably alignments’ .. hm.. Is your graph Ju-Ea-Ve or are more planets included? lgl, mostly Ju Ea, with a little Ve. If the Parker spiral idea is right, it’s an electromagnetic effect, and Ve doesn’t generate its own magnetosphere, although the Sun generates one for it to a small extent. However, there is a ‘straight line’ effect too, and Gray Steven’s found some instances where there seemed to be a heightened effect when alignment occurred simultaneously on both a straight line and on the Parker Spiral. This needs more investigation. The current analogue is the end of maximum 12, you can see the next extended cold period right on cue starting around 2200BC for a few hundred years. Adding 4627 gives around 2450AD, some 1157yrs (quarter cycle) after the LIA. Thanks Ulric, I was hoping you’d find time to join this discussion. Which other period do you see as being of primary importance? For Gleissberg, look at eg 1990, 2080, 2169, 2258, 2348, noting N/U/S/J and even Ea+Ve if you like. It all gets a bit messy by 2438. that`s the next LIA type cluster starting. At just over 204yrs is 16 J/N, 4.5 S/U and 12 x 17.019yr coronal hole cycles. Ditto. You’re probably more qualified than I am. I don’t think you realise the full implication of my return e-mail on another subject. I am honoured by your invitation, but my position as primary carer for my (near centenarian) mother prevents the attention that a thread host needs to provide for posters. I’m lucky if I get 5 hrs sleep in ½ to 1 hr intervals at night. Heck, some nights I get no sleep at all, but the Internet and the discussions here help to keep me sane (at least I presume so). Unfortunately, we’ll have to make do with my comments on your threads for the foreseeable future. I’ve revisited the ‘Wolff and Patrone’ thread to remind myself of the logic involved with the data they provided. Figure 1 shows the escape of PE (potential energy) as tangentially retrograde to the star core’s rotation. Furthermore, what is the surface of the star? Is this the surface of the core, the surface of the star’s atmosphere, or the presented surface of the star’s ‘TOA’ (top of [visible, or otherwise] atmosphere). I apologise in advance for my scepticism, but I’m starved of knowledge on these points. Finding why the 100kyr cycle popped up, and how that beats with the still existent 41kyr cycle. It looks to me if the pattern does not change, there may be a sharp and fast drop off from this inter-glacial. It could be in several 1000yrs, it could be much less. HR: you trying a red rag? 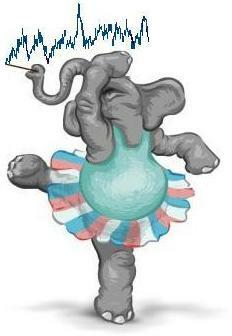 If you weren’t such a bull….. Glad you enjoyed the data even if what you guys are doing is going way over my head. Tallbloke here’s the SBF paper if you don’t already have it. That is nonsense, 10Be Greenland data is totally misleading, and any reliance on it is a waste of time. You can take as reliable only the 1970 onwards satellite collected data. McCracken data is useless too. Looks to me like 10Be isn’t too useful on decadal timescales, but might be better for longer term trends. The right wiggles are more or less there, but are offset and ‘scaled’. CET is only one small area too though. Would you say C14 is a better bet overall? Why? No, C14 is actually worse, since it takes longer to deposit. It is not CET affecting Greenland, it is the changes in the Arctic geomagnetic field reflected in both CET and 10Be isotopes deposition in Greenland. When the first detailed 10Be measurements from polar ice cores were reported (e.g., Beer, et al., 1990) there was the hope that this ice core data could provide a “monitor” of past solar activity as it effects cosmic ray intensities incident on the Earth, in much the same way as neutron monitors are used to monitor this solar activity in the modern era (Beer, 2000). This “concept” with its 1:1 correspondence between 10Be production and 10Be in ice cores, has since been used extensively to interpret historical 10Be ice core data in terms of changes in heliospheric conditions and their effect on cosmic ray intensities incident on the Earth. Our results show that, given our current understanding (or lack of it) of the correspondence between 10Be production, sunspot numbers and the 10Be observed in ice cores, this is really not a reliable “concept” to use for historical extrapolation. The sunspot number itself remains the best indicator of cyclic (11 year) solar activity after ~1700 A.D.
It’s really frustrating that there doesn’t seem to be a good physical proxy beyond the sunspot record for past solar activity levels. We’ll just have to try to figure it out using planetary motion as a guide I guess. Another person I’m glad to see stopping by, hi Gray. 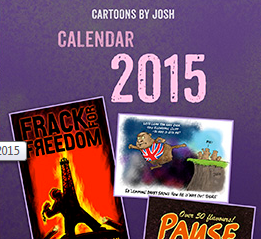 Which of the long term periodicities you’ve found do you think we should be giving consideration to? Thanks lgl. Looks pretty good from where I’m sitting. Ulric, do you concur with Gray on those periods? No, I am not joking. Blue line on your graph is derivation of the yellow line, so they do agree, the second one is derived from the first. Notice period after 1970 when CR is measured by satellites (where GMF can be approximated by the Earth’s dipole, and individual poles variations are to weak to show) agreement is not so good. a)	for geomagnetic field variation at either pole (Arctic or Antarctic) when the classic dipole is taken off. I see no reason to question the SBF reconstruction. 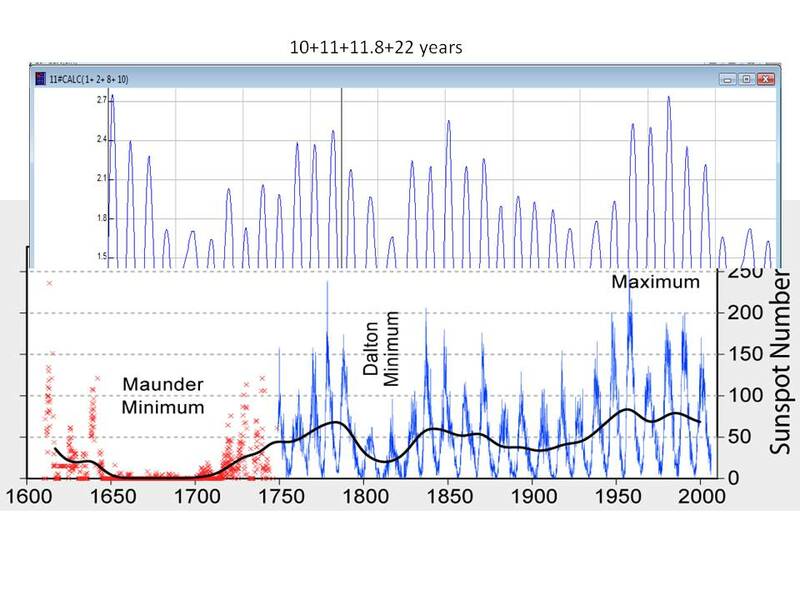 http://virakkraft.com/SSN-SteinhilberTSI.png Your assertion “10Be data pre 1970 from the ice cores deposition is a poor proxy for solar activity (sunspot, TSI, heliospheric MF, etc)” is simply wrong. I can only say you have been warned. There are hundreds if not thousands of papers written using 10Be records. It is not expected that all or any of these scientists are going to say ‘sorry we were wrong’. Our results show that, given our current understanding (or lack of it) of the correspondence between 10Be production, sunspot numbers and the 10Be observed in ice cores, this is really not a reliable “concept” to use for historical extrapolation. Taken together, these experiments illustrate the difficulty of ascribing specific causes to changes in the 10Be ice core record, and in particular of distinguishing between climate-related and solar-related changes. In my view, 10Be for the solar activity (and TSI) reconstruction is as misleading as is CO2 as the cause of the global warming, both have implication, but are not sufficiently robust to be taken as reliable and definitive, 10Be as a proxy of the first or CO2 as the cause of the second. HR: I’d been looking for a longer dataset. So yes, thank you, that one is another jigsaw piece. Don’t know where it fits but hopefully there is now more knowledge about it than before. There is plenty I do not understand. Not ideal but gives an idea which is what matters. Done from daily, not the longer monthly. Usual coda about beware unusual processing. First time I have used the new convolution engine filter core for real on big stuff, 400y used a 1.4 million point filter, dataset is >70,000 points, as well as the new decimation code, done to annual. Took 6.2s which is fair enough given all that is going on, including 10 iterations to end point convergence. This is far from ideal. more seriously I would take a lot of time over filter characteristic design, not something I have sufficiently automated. 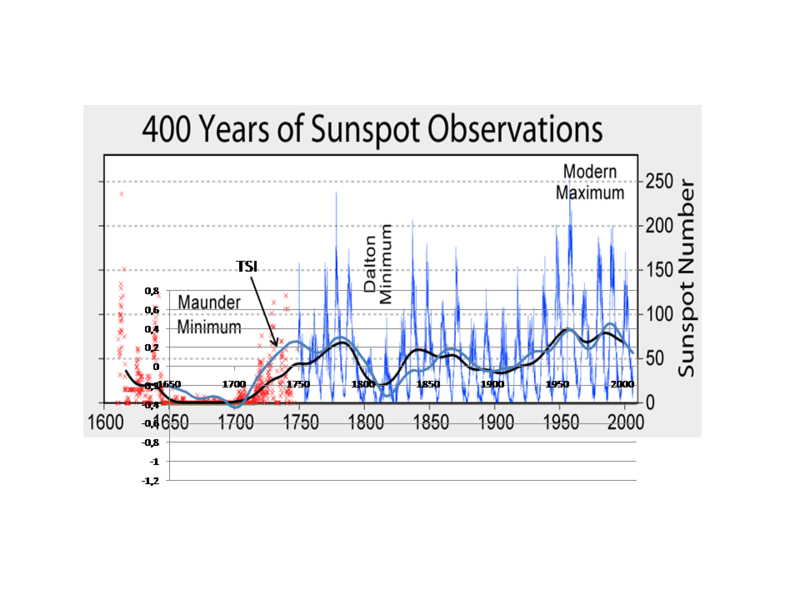 year) solar activity after ~1700 A.D.” and on a centennial scale SSN and SBF TSI are almost identical. Forget about each single 11 yr cycle. An experiment occurred to me. Truncated the daily mean data at 31st December 1997 which is a reasonable point to show what might be known by climate people during 1998, whether a panic was justified. Using identical processing (reran the console input) and I hope idential plotting, this is the result. If people are happy with 10Be data, knowing of points raised, than that’s fine. Given a fairly tight line of N/U/S/J such as the summer of 1306AD, all four meet again on one side in AD3530 (+2224yrs), and again 179yrs later at AD3709 (both a bit loose). 637 is a bit over 2 King-Hele cycles (U/S/J) of around 317.666yrs, *3 at 953yrs is much more useful, eg 1010 to 1963 winters. I cannot see anything in the 795 and 590 yr periods. There is exactly no reliable data on much at all. Hence the bundling into bent sticks. However, science has an overtendency to reject word of mouth human data when actually there were people there. This applies in most science fields. Ulric, many thanks, more food for thought. AD 1010 was one of two recorded times the Nile froze, and a very cold winter for Europe. The link I gave is about episodes, though some of the tree records are more precise. Here are some links with better information on events and cold winters etc..
I’ve wondered whether someone somewhere collects such records. Adding a class of data: the weather and climate was of great importance medically and is actually a source of weather reports. Eg. these were at one time carried by the British Medical Journal. Notice that is not a climate gov. site. Digging through this stuff sifting good from bad would be labour of love. Do we care about coloured rain? That might also be a warning about the source. A point I will raise. I have done some work which suggests there are patterns of eg. floods where these occur in two parts of the world more or less together. Given that there does seem evidence for pairing of general weather this is possibly ripe for work for someone. Love the graph, can you filter the daily data by the 6558 day period I find in the weather signal, instead of the even # of years, or to check for a Saros cycle type signal of 6585 days? This would be the place I would start looking at fine synchronization of the inner planet common center of modulation. With ~179.5 year period for outer planet synchronization, beat together to get the actual resultant weather, leaving most of one or the other after looking at either alone, as the rest of the residual noise. Thanks! wonderful tool! I will play with it on my own time and not distract this thread. Precisely what myself and Piers forecast, usually to within a day or less. Just wanted to say thanks for responding to my questions about the Fourier analyses. And say how exciting it is (okay, a little weird here) that someone is doing work that makes PREDICTIONS! Making “projections” or simply modelling and being pleased with hindcast correlations is tenure safe, but where’s the fun in that? Now that Tim has a projection for sunspots, we can apply the sunspot-to-temperature rule of (??? I’ll re-find it). As with the latest March NASA sunspot explanation, our governing bodies are good at attributing problems but not good at contributing forecasts. Perhaps they are, but they are politically smart enough not to do so. For a government that pleases itself to say it is founded on “business”, the US governmental bodies do not allow themselves to be checked for accuracy or usefulness. Big science will never be the same with blokes like you looking over their shoulders. Any Y2K date gurus figure out how to fix this data? (1) have you tried sensitivity analysis on your multi curved model? By this I mean removing just one cycle from the mix and see what that does to your R Sqd value. That should tell you which of the many cycles are most important. You could then try to determine the physical basis for each of those. (2) Piers Corbyn claims that he uses the 22 year sunspot cycle moderated by a lunar cycle. Now I have forgotten the type of cycle or its period, my memory suggests something like 66 or 88 years. Sorry to be vague. I looked quickly on his site but couldn’t find it. I know he “sort of” explained it some months ago. This may also be worthwhile chasing up. I sense quite strongly that you have your hands on something quite significant. I’m all for curve fitting (old stock market chartist) but I’m all for getting the scientific basis correct (feet on the ground accountant with an engineering bent). Put both together and bingo! I want to make it very clear that I am the one responsible for the ‘prediction’ not Tim. So this work is in the early stages of experimentation, and the results are tentative. Doug: In order to match TSI to temperature, the ocean response in releasing previously stored solar energy when the sun goes quiet has to be evaluated. Again, this is early days, but at least I have half an idea what we are looking for. Once the ARGO results are publicly available I’ll be able to do better predictive work on temperature in conjunction with solar activity prediction. Forwarded to Tim, many, many thanks Vuk. Popped up something last night to do with that, doesn’t add anything here. All a bit silly given I was deeply involved around the country with y2k but that was embedded systems in capital buildings, not general computer stuff. Enough in that for a book if it wasn’t for ethics. Tantalising, this is computed from barycentre data based on my reading of a text sent to me by Tallbloke. Keep thinking about the problem folks. Tricky getting this plotted accurately in time so I hope it is correct. Blue line shows actual TSI daily amounts (yellow line is model output). I find it interesting that the sun delivers its energy in such a spiky way, with power changing by up to ~4 Watts per sq metre over fairly short time-scales. A lot of fun stuff on that site, good that you dug around. Yes the sun is extremely noisy. I’ve shown shown something like this before. You can actually see the distinct different solar rotation frequencies, and the early harmonics. There will be a huge amount of random splatter as well. You have quoted public relations speak for “don’t know”. Thanks for the reply Tim, and I would be very interested in seeing how much TSI hits the Earth without the 1AU correction. With non-linear dynamic systems it is important to understand very short term variation in energy input, not just the smoothed average we are used to seeing. The onset of turbulence and how it manifests itself, is often triggered by a short sudden event. The effects of changes in turbulence can also have far longer persistence than would be expected – tornadoes are an example of this. Apologies for falling behind. Just done a huge day in the garden. Cream crackered now. The graph is cool Tim. Is that x-y data? To prove the earth’s orbit is not exactly circular. Minor maths errors are always present. Something like 1/sine(1-x) but inventing linearly variable shape was a fun piece of maths work. Plot was from a written out spreadsheet formula, is actually very simple. garden, Garden? You’ve been plotting. If you are referring to the Barry plot under a strange handle (don’t ask), yes is straight, I’m just aware mixed datasets is hairy and whilst it is intended to be a time overlay the mice can get at the machinery. Data came locally from de421. Thanks Tim for your quick reply. So we have a variance in the amount of TSI hitting the Earth of about 90 Watts per sq metre, plus the shorter term ~4 to allow for the spiky energy delivery. This supplies our chaotic climate pendulum with its annual kick, which is complicated by the geographic distribution of water – with more area in the SH than NH. No wonder trying to understand the amount of energy available in Earth’s climate system at any moment in time is so difficult to estimate! The missus was doing the potting, and I was digging the plot in. Right, so the graph is the x-y plane of the planetary orbits. Very Good. Now, if you have the time do the ‘z-axis’ motion relative to the solar equatorial plane and we can compare results. The Sorce 6 hourly data contains both at earth distance and at 1au. 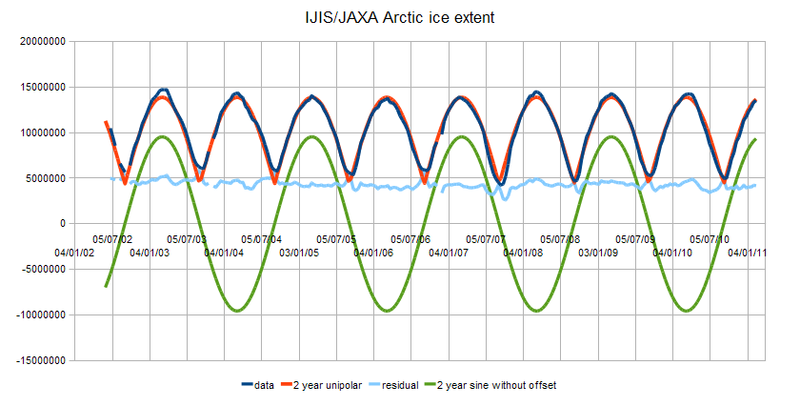 If you look back up this thread to 23rd Feb there is a post I suspect few understood about Arctic ice. Might now make more sense. There are actually several things going on, one of which is the sun/earth distance change (nearest about 4th Jan, sorce plot is accurate to a few hours), northern winter when it is dark at the pole. The is a misconception held by many people who live in the north that the sunshine is most intense in the middle of summer, when actually the earth is furthest from the sun. In winter is does pass through a longer atmospheric path length weakening it, but hot it is. In the southern hemisphere summer and hottest sun coincide. A guess is that there is more atmospheric loss during the northern winter due to the longer path length, presumably heating the atmosphere more at moderate northern latitudes. I suspect this would be a minor effect. Sad really, we do all these plots and Tallbloke buries them in the garden. That was difference of the square root of barycentre distance. Roots again see, back to gardening but you knew that, why you buried it. z? Need to think about that. Not been useful so far for reason too complex to explain here. Might put up some world area plots later. Already looked, nothing particularly stood out. I dug out the old roots, and threw them towards the compost heap, but they didn’t get that far, because the velocity reduced proportionally with the square of the distance. Now that is a serious amount of digging. 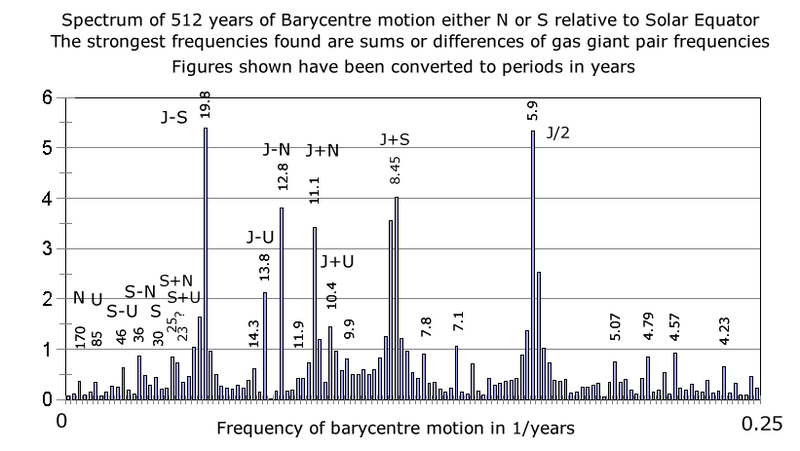 This is an illustration of the spectra which can very easily be produce from barycentre data. This shows sunspot cycle-like periodicy, critical if there is to be a connection between the two. From my point of view wonderfully there is the 45 year which is in sunspot data and IMO in earth datasets. I’ve not done a phase check yet to see if it matches solar data. Around 60y is usually present but always very weak. However it is very likely there is a low pass slope on the response of massive systems such as earth. A likely value is 6dB/octave which means that for each doubling of frequency (or halving of period) the size halves. Eg. something at 30 years can be taken as responing half as much the input stimuli. That is the vague idea and means that small slow items might have a disproportionate effect. Lot of might and maybe. The 7% TSI flux on an annual basis is very large. Does anyone have a SST chart which shows how SSTs lag this flux? The annual SST signal is pretty much lost in the ENSO variation, but an expert might be able to draw something out. The thing is, the TSI covaries with the seasonal shifts anyway, so I guess this would be more obvious with the temperature change in northern and southern hemisphere lakes under cloudless skies at similar latitudes. This is because there won’t be any currents moving between the north/south as there is the oceans. By The way, I’ve made this thread into a ‘sticky’ which stays at the top of the site, because it’s still going strong! The input variation for the whole earth is as shown but the earth axis is tilted so there is a north/south variation during the year. Something else just occurred to me. The basic physics, which is played down in certain circles, is very simple: the body temperature follows square law versus orbital distance from the heat source, the sun. The force of the offshore wind peels back layers of sea like peeling an onion. At the same time, evaporation continues apace. Eventually, a pile of dense salt water is created which becomes increasingly unstable. Finally this body of water sinks and is replaced by less dense, and very much colder water from anywhere between 25 and 100 metres in depth, depending on the intensity of the event and the coastal topography (Fig.3). This process may be enhanced if fresh water from the winter rains has permeated through the coastal limestone and diluted the saline water on the sea bed. The overall result is a lowering of the sea temperatures on beaches by 5 to 10 degrees Celsius in just a few hours. In late September 1993, an upwelling reduced the sea temperature by about 9 degrees, and during the last week of June 2009 the sea temperature fell from 23 Celsius to between 16 and 19 Celsius along most of the Costa del Sol. After a brief recovery, 3 days of hot offshore winds produced a further upwelling in early July with sea temperatures between 16 and 19 Celsius then lasting until after mid month, perhaps helped by limestone permeation after the substantial winter rains. Any significance to all of the waves trending down at once, as the graph shows them doing now? Cross check clone of Leif’s result, yes it matches, we are talking the same thing. Ignored <4 year, not useful. Longer periods should be taken as dubious given the very short data length and limitations of DFT. 2. The just under 10 year line is sharp. This might be the second harmonic of the solar system dominant gravitational force @19.8 years. Good example of an unexpected micro event, thanks Malaga. I expect there are many other types of these sort of things which have slipped under the radar as being “small enough to ignore”. However, many small coincident events can have just as big an impact as one big one. Perhaps no surprise climate science still doesn’t understand the way energy levels change in our oceans. “By The way, I’ve made this thread into a ‘sticky’ which stays at the top of the site, because it’s still going strong! Hooray indeed! This thread has hit the 200’s partly due to my miss-post 2 above – sorry for that. This thread seems to be getting to the nub about how the planetary orbital cycles effect the solar climate cycle, which in turn affects the climate on the planets. Many thanks to Tim, Tallbloke and contributors, without which it would not happen. Thanks Tenuc for your contributions. I really do think we’ve made some real progress here. Tim’s software is remarkable, and is helping to narrow down the important cyclic periods form an all too long list which previously stymied us with it’s myriad choices. There is much to investigate in these cycles, plus the mysterious big ~35 year peak in Tim’s Chirp. 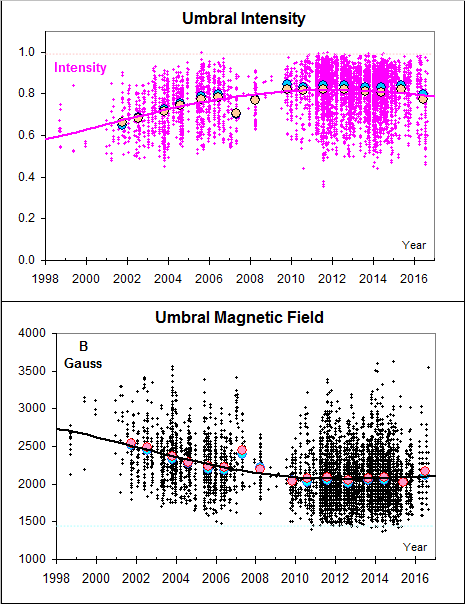 2x Ulric’s mysterious ~17 year solar wind cycle? Ulric’s expostion on the 2225 year cycle sometimes involving an extra 179 year cycle is a hint that these relationships shift over longer timescales. The planets never repeat their orbital relationships twice. All ‘rules’ are contingent on a timescale, and new relationships will come to predominate over old ones eventually. I suspect this is why the shift from ~40,000 year glacials to 100,000 glacials came about. 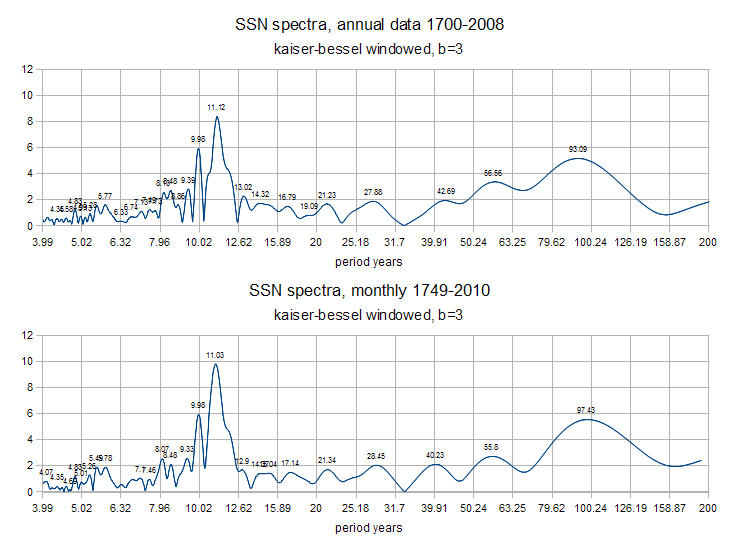 It should be noted that annual and monthly spectrum analysis of SSN gives slightly different results. L.S’s FFT power spectrum is for the monthly values, which I think is superior. Quite so, the better resolution the better but this also hits a major problem in datasets, violation of Nyquist and Shannon, almost universal in climatic. This hurts if you do deep analysis. Don’t think it is appropriate to post details here. The pair of plots I put up (few posts back in this thread) was deliberately one of each timeseries, identically processed and displayed. There is less difference than I expected. With ssn the problems are compounded by inconsistent data gathering (including historically weather problems) and solar rotation. I was hoping Leif was going to publish a fine time resolution corrected dataset. There is also the question of how well a simple count of sunspot indicates solar activity. We know, for example, that the L&P effect appears to be reducing the number of visible spots and if the same thing has happened before how much should we trust sun spots as a proxy for the historic solar activity record? c. 13102 days = S/N synod. With Mars, it depends what you include with it with. With J+E+V it`s on average a 44.75yr cycle. With just E+V, it`s 32yrs as a basic return, though this slips, and it moves from all 3 on one side, to E+V opposite Mars, and back to all 3 on one side, over a 299yr cycle. The ‘slipping and returning periodicities’ are interesting too. regarding the sinusoid parameters you depicted above at February 26, 2011 at 8:48 pm. When I make a bunch of sine formulae with those parameters and sum them I do not get anything like the Lean TSI reconstruction. Is there some special sauce missing? In my implementation I’ve used the components with the 17 shortest periods as I figured the longest two made no difference over a 300 year test interval. The YOffset is set = 0 but I thought there was a chance you might have measured time from something other than t0 = 1AD. What’s wrong with my formula? What formula can be used to approximate TSI from your cycle analysis? There are too many files to figure out which exactly, all in an earlier format, I was still developing the software, newer would read and translate, too busy on other things at the moment. Highest frequencies are not handled so it looks underwhelming. I’ll email you, reply if you want to discuss… otherwise I will probably forget given so much else is going on. Only just read your reply today. Thanks for the spreadsheet, it was plug’n’play. It seems to get the gist of the TSI variation. As you say, the high frequencies are absent, but that’s probably not irreparable… In the short term the TSI seems to modulate along with the sunspot count. Since I need short term TSI for short term projections I’m going to use (1365.4 + SSN/137) as an approximation of TSI for the time being. For the longer term projections, perhaps some combination of RJ’s sunspot formula and these cyclic TSI components will work, but that’s for another day. It’s good to be busy, eh! Thank you everyone for this awesome presentation. I also am an audio engineer from way back when I made stereo amplifiers, and recently realized what the problem is with TSI measurements. They don’t measure everything because they can’t based on the frequency response curve of the measurement instruments. See http://www.ngdc.noaa.gov/stp/GOES/doc/GOES%20XRS%20readme.pdf and let me know what you think. It appears the instrument can’t possibly respond to the full solar signal at all wavelengths. Good find Bob, lower level information is sorely lacking. The instrumentation is riddled with problems. Good chance the transient response & SNR are inadequate too. Must fact check however. Not sure transient is applicable as such, it’s a natural source with indeterminate rate, proably good enough provided they stick to Nyquist. All comes under good enough. Noise is a different game, most of this stuff is at the limit. If you look at the known solar UV and out towards gamma there is a pretty obvious noise floor problem… or is it, we simply don’t know. A further problem is looking through a fog, and with magnetic fields present. 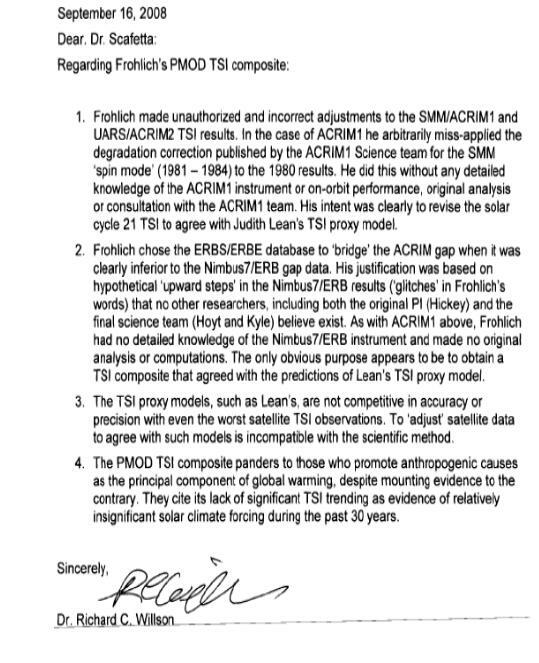 The top panel of Tim Channon’s model comparison with Lean’s 400 year TSI model contains a very interesting feature regarding the contentious issue about the slope differences between the ACRIM and PMOD satellite TSI composite time series during solar cycles 21 – 23. The agreement in periodicities between the Lean model and Tim Channon’s is amazingly good on most time scales, even those long compared to a solar cycle. The glaring exception to this is during the last two decades of the 20th century wherethe models diverge and Lean’s model shows no net trend while Channon’s model increases during 1980 – 2000. Channon’s model agrees with the upward ~ 0.04%/decade trending of the ACRIM satellite TSI composite. Lean’s model agrees with the Frohlich/Lean PMOD TSI composite. This result, along with other recent analyses (http://rd.springer.com/article/10.1007%2Fs10509-013-1775-9#page-1) provide further support for the ACRIM TSI composite’s upward trend and the probability that global warming during the late 20th century had a significant, if not dominant, solar forcing component. Dikst: That’s a good observation, Thanks. The integration of sunspot numbers as a cumulative departing from the average over the period of record rises from 1934 to 2003. Although the peak amplitudes fell from the peak of cycle 19, the minima were brief, and the up/downramps steep, and the peaks sustained.